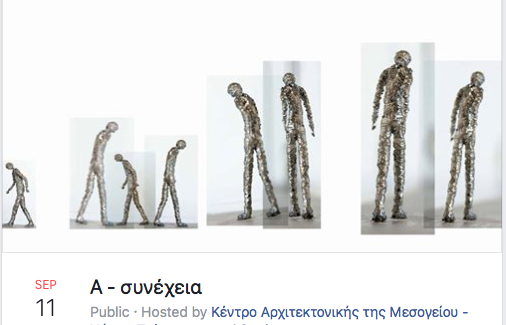 The exhibition of Evdokia Stafilakari presents sculptures, small and large ones, made of metal and other materials in combination with audiovisual media. 15th and 23rd: live show installations 20.00 – 22.00. The works draw on evidence from ancient philosophers such as Aristotle and Epicurus, about the relationship between time and soul, attitude and movement. At the same time, there are influences from the world of mathematics as well as from the works of artist M.C. Escher. The exhibition comprises sculptures, also installations and videos that will change every day until the last day of the “exhibition’s discontinuity”.